Madeline Turnipseed: Tell me about the community that is MiscatSquad. Kat Stec: I started MiscatSquad because I felt like I was always that misfit that was left out in school. When I was homeschooled I didn’t really have that many friends. I wanted to start a community of people that felt like freaks and geeks and misfits and felt left out. The “Mis” is like “misfit,” “cat” because Kat’s my name, but also because cats are cool. 😺 There are so many communities out there that focus on nerddom and geeky-ness, but I wanted to do something different. Even in the geeky fandoms, there are misfits that are left out of discussions and feel like maybe they can’t have an opinion. I wanted to create a community where anyone out there—misfit or popular kid or whatever—can come together and enjoy being a geek, being a nerd. Loving games like God of War and Detroit: Become Human or comics like Marvel and DC. A place where they can come together, hang out, and not judge each other no matter what. Have you found in talking to people that everyone has some small (or giant) part of them that’s seated in nerddom? Kat: Absolutely. No matter what age you are, ten years old or thirty years old, age and generation shouldn’t matter when it comes to embracing your inner fangirl and fanboy every single day. In nerddom when you go to ComicCon or any conventions out there it’s a different experience because everyone is there to enjoy something. Everyone is there for a reason. I’m not going to be on Twitter hate-shaming your post because you’re this age. Every single person has a place within a fandom, no matter how young or how old. I wanted to create a community where anyone out there—misfit or popular kid or whatever—can come together and enjoy being a geek, being a nerd. Madeline: Touching on what you mentioned with cons, why you think nerd culture is unifying even as it is incredibly diverse? Kat: I think it’s because we can relate to every single character. Spiderman, for example, so many people around the world can relate to him and Peter Parker. He has a guilty conscience, he’s fighting to save the day, or like what I say, you don’t have to wear a mask to be a hero. You can be an ordinary hero every single day. If you love a character so much, you can relate to them. No matter how diverse we are, we push aside everything that we are to love this character, to love a fandom, and make that type of representation. What matters is that you are loving a character, loving a series, and saying, “Wow, I love Spiderman because of this. I love Batman because of that.” These characters teach us to accept one another. It should never be about, “Wow, you’re different from me, I shouldn’t like you!” If you love a fandom and you love a character so much, you should feel as if you’re friends. In my opinion, it’s about how the characters are, how they bring us out of our shoes. “Wow, I could cosplay as Spiderman,” then this person’s like, “I’m Batman.” There’s Marvel and DC right there, but they still have respect for each other. Madeline: You mentioned in your Spyro Reignited Trailer Reaction video that the Spyro games helped you growing up. If you feel comfortable, can you talk about that a little bit? Kat: I didn’t really have a lot of friends growing up. When my mom was at her jobs I would go over to my next-door neighbor’s, and her older daughter had a PlayStation. I had never played a video game before. I sat down and started with Spyro 3 where Spyro was skateboarding. That was my first ever video game scene. I’d sit down and play it and I felt like I had friends. Video games can make a huge impact on you. For me, someone who went through abuse when she was young and was bullied when she was young, I didn’t really have anyone to rely on or have for escape. Video games are an escape. Spyro taught me courage. He taught me how to have friends. Now, when I hear that the Reignited Trilogy is coming out, I was ballistically crying. When I had that reaction to that trailer, I had had the worst day that day. Someone tweeted to me, “Kat, it’s actually happening!” I ran upstairs, filmed my reaction, and was hysterical because Spyro was back. He was my hero. People have to realize, especially for young kids, especially for kids that go through abuse, they need to have that courage. They need to be taught that you can be brave. There’s the controversy that says that video games cause violence in kids. That’s not the case. Video games can save people’s lives because these characters are always there for you. If you don’t have friends, these characters can be your friends to make you a better person. You learn about yourself through them. Do you have a favorite character by the way? Madeline: This is my persona. Madeline: Can you talk about the power that nerdy things have to make our lives better and even make us better humans? Kat: A great game is Detroit: Become Human. They teach you such amazing lessons. To be brave, because they’re running away and trying to be free. Video games teach us morals and lessons. I say it’s about humbleness and heart. It’s a team. Sometimes you have thousands of people working on a video game. With books and movies there’s a bunch of people working on them, but with video games, you have cinematography, the writers, the directors, producers, the artists. Everything that goes into producing video games is so humble because it’s like a family. They teach other creators and people who judge video games that it’s about the humbleness and heart. It’s not just one person, it’s a team. It shows us that human beings can work as a synergistic union, this force creating something. For books it’s an author, an editor, an agent, a publisher. With video games and almost anything else within this geeky fandom, it takes a team. Over the past few years, geekiness and nerddom have been so much more accepted. Dungeons and Dragons has been accepted now more than it was a few years ago. It’s basically becoming mainstream. People are starting to bring comics into the classroom, they’re bringing video games into the classroom. It’s really good to see because years ago it was shunned. “Pokemon is evil.” But now, let’s bring comics and manga and anime and all this stuff into the classroom. You can learn about different cultures that way. You can learn about how this character dealt with this heavy subject. Kids can play God of War with their parents and see themselves in Atreus. He had a huge fit. “I’m a god now, I can do whatever I want.” Over the years, it’s great to see that it’s changed. It’s a blessing to see how much it’s changed. We as the nerds and the geeks were judged for those years, but we made it happen. We made this become mainstream. Madeline: We quit feeling like we had to hide. Madeline: Made it a lot more accessible. Kat: We had to go through a lot, we had to go through the struggle, but we made it possible for the younger generations to be accepted. Every single person has a place within a fandom, no matter how young or how old. Madeline: On your YouTube channel you have discussions of a wide range of games and other geeky content. How do you reconcile some of the content in those games with your all-ages content focus? For example, I love Lucas the Spider and would feel totally comfortable watching Lucas the Spider with my four-year-old nephew, but as much as I love Don’t Hug Me I’m Scared, I could never watch that with my four-year-old nephew. Kat: This is the thing: MiscatSquad is all ages, so it could range zero to one hundred. That’s basically how our brand is. But I think a lot of topics are important to discuss, so even if a kid does stumble on a video like Don’t Hug Me I’m Scared, I’m always sure to have some kind of disclaimer to be like, “Okay, this is going to be scary, you should watch this with an adult,” or something. I don’t curse on my channel. If I do, I beep it out. There are a lot of streamers out there that feel like they need to curse all the time. YouTube is becoming T.V. There are so many articles out there that say within the next few years, YouTube is going to take over. It’s going to be how Netflix is. I think it’s really important, even if you have an adult audience, to beep certain things out, even if it’s an adult game like God of War or The Last of Us. It’s important to make sure that if a kid does stumble upon this, you’ve taken that into consideration. Some topics we discuss, I make sure that it’s safe for kids and teens and adults. Some topics, like mental health with Life is Strange, they really need to hear. One of the things people point out is that they enjoy that I get emotional about things on the channel. You’re playing as this character and you’re living in their shoes. You’re not just reading a book or watching a movie. You’re actually controlling this character. You feel like you are them. With Life is Strange there’s a lot of heavy heavy topics like suicide in that game, and it’s important for kids to learn about it. If they don’t learn about it when they’re young they’re going to learn about it when they’re older, and I think it’s really important to discuss this with them. I’m always saying Life is Strange should be a game that’s played in schools, especially High School. There’s people with drug abuse, or again, mental health, or [thoughts of] suicide. It’s important for them to actually play as these characters to learn about preventing these things from happening. Madeline: Sorry, you don’t get time powers, kids. But, you can be a good friend and make a difference. Kat: The thing is with Life is Strange, at that scene with Max and Kate, she didn’t have her powers. That’s when the series got real for me. You don’t have powers. You prevent it or you don’t. Madeline: You’ve talked a lot about stuff that’s important for people to be able to discuss. 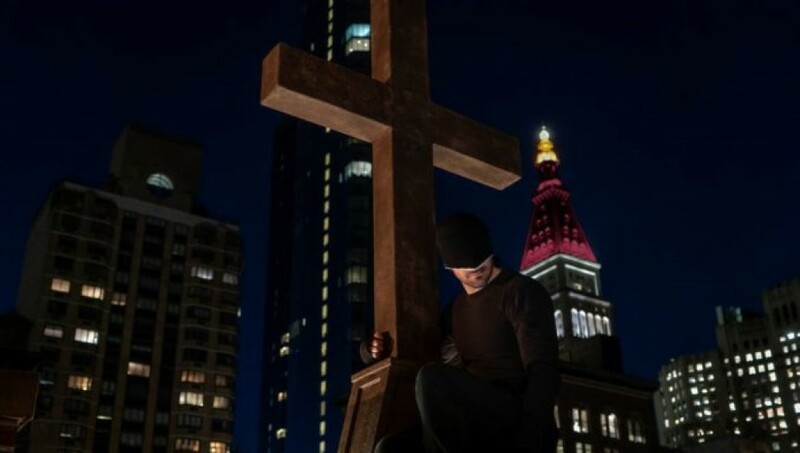 One of the things that’s important for us at Love Thy Nerd is faith. Is faith a part of your life? Kat: My grandfather wanted to be a priest. He taught me everything. I’m Catholic myself. It’s so important to me. I’ve brought it into MiscatSquad because I want people to realize that even though video games may not say things about faith, but there’s a lot of morals that were taken from the Bible or other places. Faith and religion are so important to have because it makes you stronger. Everything that I went through in my life I’ve always fallen back on my faith. I’m thankful for the struggles I went on because it made me stronger as a human being. Years ago, I wouldn’t be able to go on camera or be able to have a YouTube channel because I was so afraid. Through my faith and struggles, perseverance builds character. It made me a much stronger character. I like to say to people, “Always have faith.” It’s so important. It shapes your life. It makes you feel like you’re a superhero, in a way. It gives me superpowers. I know that God’s love is very important and that he wills certain things to be because He knows we can handle them. He puts us through things to test us, to make us stronger and shapes us into who He wants us to be. Madeline: That’s a really positive outlook to have after going through so much difficulty. A lot of people turn away from faith at that point. That’s incredible that you’re able to stick with it. Kat: One of the best lessons I ever learned was from my grandfather. Before he passed away he told me two words: “Patience, kid.” I am the world’s most impatient person. You can ask my team. I am so impatient, it’s not even funny. But when I hear those words, I remember riding home from church with him in a car. We stopped at a stoplight and I asked, “Pop, why is nothing really working out with me in life? Why are we struggling so much?” And he just turned to me and said, “Patience, kid.” I will never forget that day because that is the greatest lesson that he ever taught me. Madeline: That’s a good lesson. You’ve talked about this some with acceptance and inclusion, but do you find any overlap in your faith values and what you’re trying to do with MiscatSquad? Kat: I think with overall faith, I just want everybody out there to know that they should never give up on themselves. Whether they have faith in God or their own religion or just themselves or a fandom, you have to have faith in something. I try to always tell that to people in the squad and the channel. If you feel like you want to commit suicide—and this is a heavy topic to talk about—in MiscatSquad we have a support group where people talk and we give them emergency hotlines they can call. 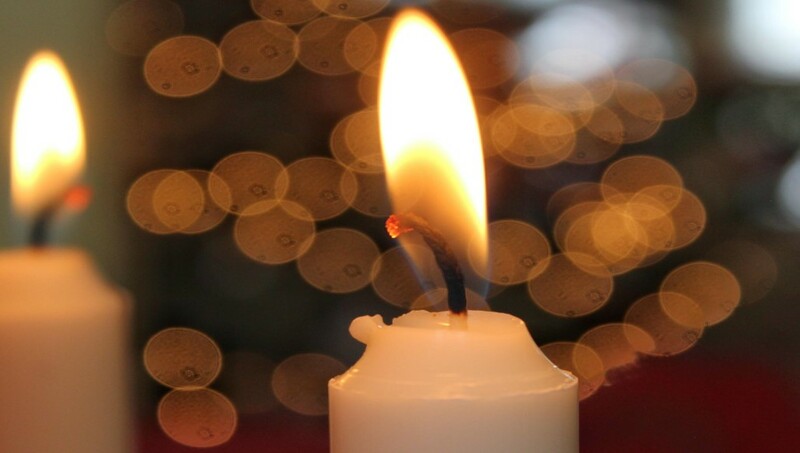 In our Discord support group we’ve heard a lot of stories from people that want to take their lives. It’s really upsetting. Especially like in the game Beyond: Two Souls. There’s a lot of heavy references in that game about mental health, too. I stopped and put down the controller, and I’m like, “Look. If you’re struggling with something, there is help. You are never alone. There is always somebody out there who can help you.” What I want people to start realizing is just that. You’re never alone in this world. Even if you have to talk to somebody online or a counselor, just talk to somebody. Don’t keep your problems within yourself. Go out there and talk to somebody, and you will get better. Have faith in that. Have faith in yourself that things will get better. That’s one of the most important messages I want to say to people. Not enough people say that on YouTube. It’s either they’re flexing with their Teslas, or they’re doing pranks and showing off, but with MiscatSquad, I want to make sure that people realize that they’re not alone in the world. Madeline: Yay! It’s got all these different brands of nerddom that people claim on it, and that’s part of what we’re trying to do. Not just gamers, but everybody that might claim a nerddom. Everybody has value. Kat: Yup. 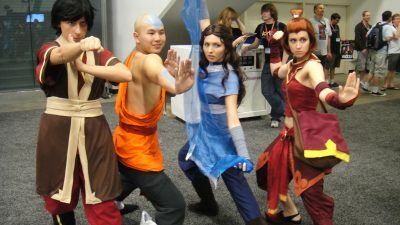 Even within nerddom, you’ll notice that there are the cosplayers, there are the gamers, the role-players, this and that. It’s great to see that there’s another community that separates them, but at the same time represents all of them. Madeline: Nobody just reads manga. Almost everybody will do three or four things that fall under nerddom. To have it all compartmentalized is kind of silly. Kat: You’ll notice at conventions, some people just do about anime or just do about manga. But manga fans could be playing Dungeons and Dragons, or they could be playing video games. It’s great to include everybody without excluding anyone. Madeline: I’m going to a board game convention at the end of November, and on one of the Facebook pages for the convention people are talking about what they’re going to cosplay. They’re not cosplaying board gaming characters, they’re gonna cosplay whoever they want because any time you’re with your fellow nerds, you want to fly all your flags. Madeline: What kinds of things would you like to see MiscatSquad doing in the future? Kat: When we hit more like a million followers, definitely start doing tours and panels to spread the positivity that MiscatSquad is building. I would definitely love to start doing more charity work and charity livestreams per week. Doing charity work and giving back to the community is so important. If that community is giving to you, you should always be giving back to that community, especially for people who are in need of it. Panels I would love to start doing because there are a lot of people in MiscatSquad who ask questions and I would love to have a huge discussion about certain things. I can’t really do that in a video, but if it were a live panel people could ask freely what they wanted. For me personally, I’d like to do more voice acting and bring that into the channel to support fellow voice actors. I want to bring talents onto the team because I’ve noticed that some people who feel like they’re misfits can’t shine, even though they have great talent. I want to be able to bring that to the team and be like, “You guys can shine here.” I want to give them that type of light. We’re working on a very important project, which I will reveal here. We’re going to be having a website soon called All Ages of Geek which is going to be about what MiscatSquad is all about. We’ve hinted at All Ages of Geek before, but we’re definitely going to have a website. We’re going to have a lot of fun things on there and we’re working on a lot of great things. We will definitely get Love Thy Nerd involved. It’s coming along, we’re hoping to do 2020 launch, around the time when we hit 100K. Gotta get all your ducks in a row first. Madeline: Where can people find you on the internet? Kat: YouTube, Twitter, Instagram, my personal twitter, Reddit, and Discord. You guys are awesome. Stay awesome and keep spreading the love. If you’ve recently had suicidal thoughts or just need to talk to someone, you can speak to someone by calling the National Suicide Prevention Lifeline at 1-800-273-TALK (8255) or by texting HOME to 741741, the Crisis Text Line. Suicide helplines outside the US can be found here. 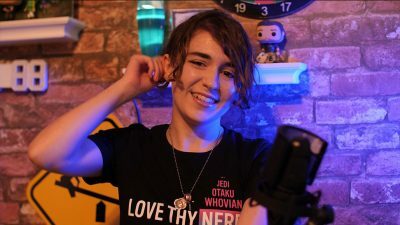 YouTube personality Katya Szewczuk is our guest this week to talk a little about having a fast growing YouTube channel and the challenges that comes with having such a large community. 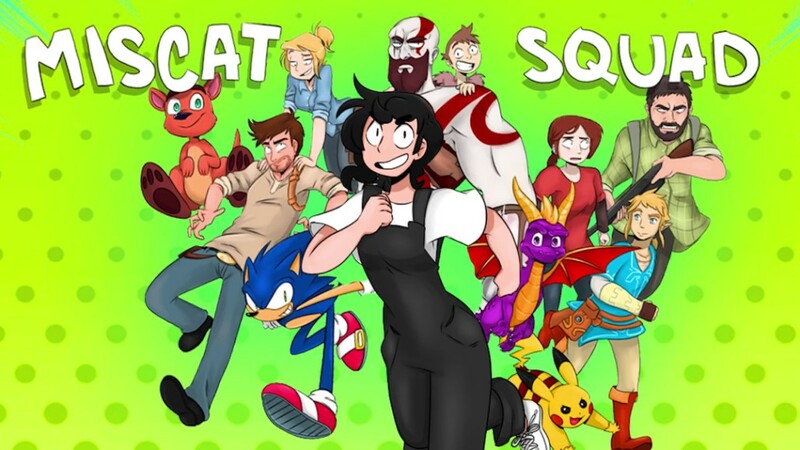 Starting out as a manga reviewer Katya ended up gaining a following with a focus on games with strong narrative direction, she shares some of the joys and frustrations with having a YouTube community.